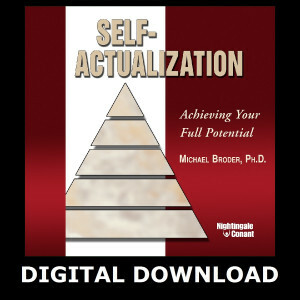 Michael S. Broder, Ph.D., is a renowned psychologist, executive coach, bestselling author, continuing-education seminar leader, and popular speaker. He is an acclaimed expert in cognitive behavioral therapy, specializing in high achievers and relationship issues. His work centers on bringing about major change in the shortest time possible.A sought-after media guest, he has appeared on Oprah and The Today Show, as well as making more than a thousand other TV and radio appearances. For many years, Dr. Broder also hosted the radio program Psychologically Speaking with Dr. Michael Broder. 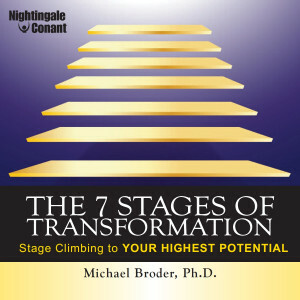 He has been featured in The New York Times, The Wall Street Journal, Time, Newsweek, and hundreds of other publications.In addition to Stage Climbing, Dr. Broder's audio programs include Positive Attitude Training, Self-Actualization: Reaching Your Full Potential, and The Help Yourself Audiotherapy Series, which are frequently used by mental health professionals and coaches with their clients. His books include The Art of Living Single, The Art of Staying Together: A Couple's Guide to Intimacy and Respect, and Can Your Relationship Be Saved? How to Know Whether to Stay or Go.Dr. Broder earned his Ph.D. at Temple University. He conducts seminars, talks, and presentations to professional as well as lay audiences worldwide, and has trained many thousands of psychiatrists, psychologists, and other mental health professionals.